Approx. $350 per adult and $300 per child This fee is payable for each person included in your application and must be paid directly to the doctor doing your medical tests. 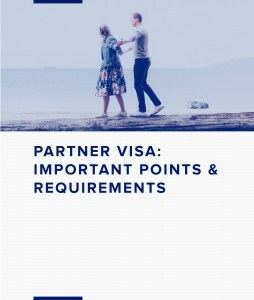 $3000 to $6600 depending on the complexity of your case, paid in two parts Your partner case is managed by a SeekVisa Migration Registered Migration Agent. You will deal directly with your SeekVisa Migration agent who will liaise with Immigration on your behalf and keep you updated on relevant policy changes. If you have lodged a partner visa that has been refused, you may be able to appeal the decision. The Administrative Appeals Tribunal (AAT) charges a fee of $1,683 for an appeal. Our fee to manage an AAT appeal depends on the circumstances of your case. Please refer to AAT Charges.